My wife and I recently paid a visit to Portland Oregon for our wedding anniversary. If you have a weekend to kill, this city is the place to see. We love visiting new places and when we found out Portland is essentially known as Beervana, we got really excited. I’m not by any means what you’d consider a beer snob, but I do enjoy craft beers. My beer vocabulary doesn’t typically include stuff like Coors or Michelob. When I found out my favorite brewery, Rogue, had a public ale house in the Pearl District not too far from my hotel, I was through the roof. 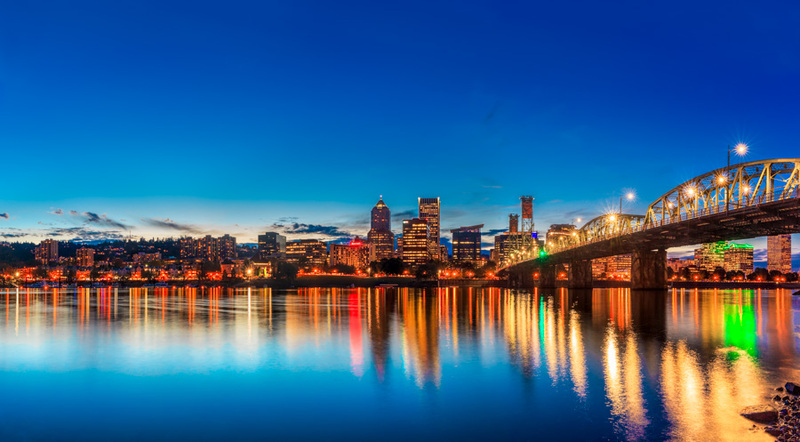 If you like pub crawling, a weekend in Portland is perfect. All within walking distance from each other is Rogue, 10 Barrel Brewing, Brew Cycle, Bridgeport, and several others. My favorite, unsurprisingly, was Rogue. They had an amazing selection of limited release beers, including an interesting concoction only available at the Flanders Street location called the Haze-O-Lantern. I was about to order my favorite Hazelnut Brown when the server told us about this new specialty brew, a mix of their Hazelnut Brown, Chocolate stout, and Pumpkin Patch ales. I skeptically and reluctantly deviated from what I really wanted, and gave this unfamiliar brew a try. I’ve never tasted anything like it before, it was pure happiness, a combination of three of my favorite types of beers in one pint. I wanted this in a case to go but sadly it was a concoction they had to mix right there on the spot. It was proof that good beer isn’t required to have the three letter acronym IPA. Dear Rogue, if you want to do something completely awesome, package the Haze-O-Lantern in bottles and ship it out across the nation. The rest of Portland was a lot of fun too. It’s a unique little city with lots of character. Running into the large homeless population right by the Hawthorne bridge, where I shot this photo, was anything but exciting, but the view is great. All the locals jogging along the Eastbank Esplanade didn’t seem the be phased by the homeless either. If you have about an hour to kill, wait in line at Voodoo Doughnuts. One of the highlights of this trip was ordering a half dozen box of these crazy not-so-little diabetes inducing globs of goodness for my wife and I to share. I barely made it through one full donut, and then out of obligation and guilt, I forced myself to try the others. It’s not that I didn’t like them, oh no, just the opposite. I had consumed so much sugar that I started getting sick. I felt like I needed to get up and run a 10k. Seriously though, you’ve never tried donuts until you’ve tried these. They’re pretty darn awesome.